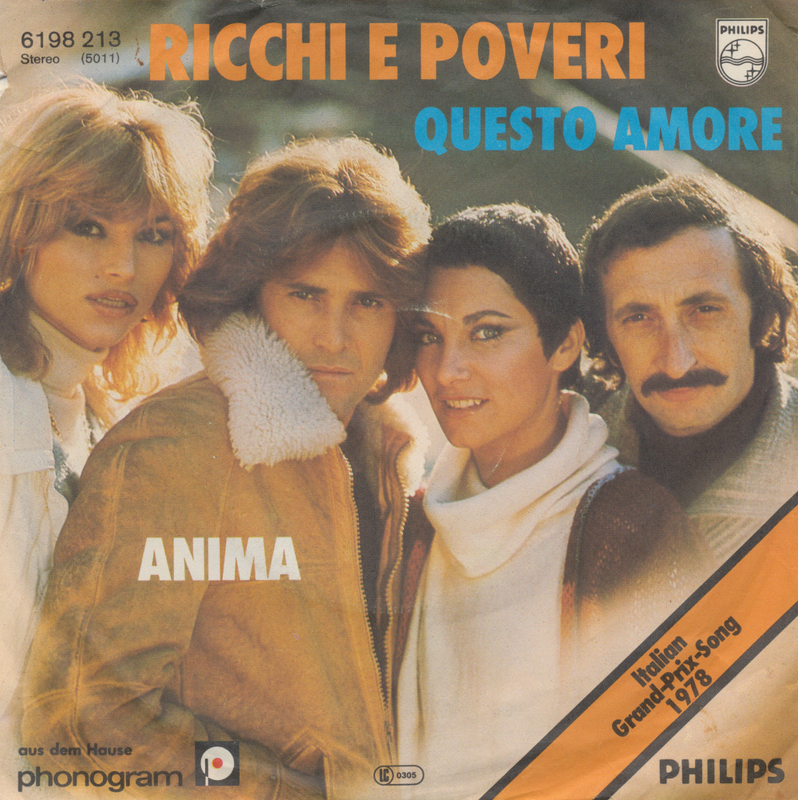 'Questo amore' ('This love') was the Italian entry in the Eurovision Song Contest 1978, performed by Ricchi e Poveri, at the time a quartet consisting of Franco Gatti, Angela Brambati, Angelo Sotgiu and Marina Occhiena. At the close of voting, the song received 53 points, placing 12th in a field of 20 competitors. 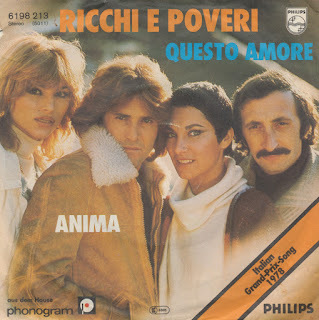 I bought this single in one of the strangest record shops I've had the pleasure to visit in Vienna this week. All of the singles cost more than 3 euros (most of them more than 5 euros) and the owners of the shop seemed more interested in their dog than they were in selling. I waited some time before I could pay, then left quickly. I'm not so fond of dogs.